The last time you read the complete warning on a prescription medication were you stunned by the possible side effects, health risks and other dangers that were listed? Many people are; so it is only natural that men with Low T are asking how long can you stay on testosterone enanthate and other prescription forms of Low T therapy safely? 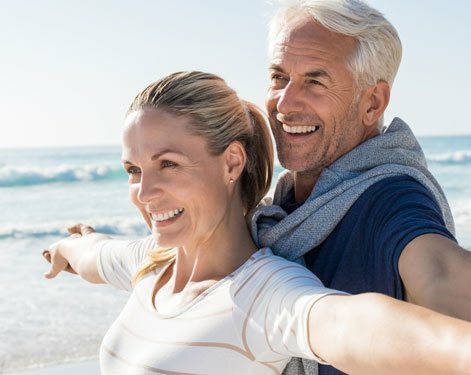 At Nexel Medical, our hormone replacement therapy doctors encourage men to ask these types of questions because we know that we can confidently assure them that the use of doctor supervised testosterone replacement therapy (TRT) has been clinically shown to be a very low risk form of ongoing medical treatment. Yet that answer must be qualified by adding to it because there are particular conditions under which the extended use of Low T replacement therapy can be considered low risk. Our doctors primarily prescribe treatment for adult patients who (1) have been clinically verified to have a significant testosterone deficiency as shown by the results of specific blood testing; (2) have nothing in their past medical history that would make TRT inadvisable; (3) have no current health issues that would preclude its safe and effective use; and (4) follow the protocols of their prescribed treatment programs exactly as prescribed by our TRT doctors. For patients who qualify for treatment based on these conditions, our answer to the question of how long can you stay on testosterone enanthate without causing any risk to your overall state of health and/or longevity is that you can use it indefinitely. Keep in mind that following the correct protocols for safety and effectiveness includes periodic blood testing to monitor your testosterone blood levels and using the exact dosages of treatment that have been prescribed for you, and may include doctor recommended PCT (post cycle therapy) to maintain your therapeutic results. How Much Testosterone Enanthate Can You Take Safely? Answering the question of how much testosterone enanthate can be safely taken per dosage depends on defining certain individual health factors that each TRT patient has. Of course, there are established clinical guidelines regarding the appropriate dose for Low T therapy patients to take that TRT doctors are aware of; but remember that the goal of all medical prescribed testosterone replacement therapy programs is to restore each patient’s male hormone levels to the range that is most beneficial for that particular patient. Most men understand that their testosterone production naturally and progressively declines as they age; but for many men, the manner in which this decline affects them results in the development of certain symptoms. The only way to eliminate these symptoms is through the use of supplemental testosterone treatments usually for a good portion of the rest of their lives, which is why the question of how long can you stay on testosterone enanthate is such a relevant one. But so is the question of how much bio-identical male hormone an adult can take safely; and it is especially relevant to those adults who use steroids such as testosterone illegally for the purpose of body building or athletic performance enhancement. The dosages that these users take are generally much more excessive than the relatively conservative dosages that TRT medical providers prescribe for their patients inflicted with adult-onset Low T symptoms. The doses they use that result in sustaining excessively high testosterone levels can lead to a number of serious health problems; furthermore, most illegal users are not getting their levels routinely tested and are using products that they have also illegally obtained, either online or elsewhere. Nothing about their use can be considered safe for their health or good for their longevity prospects. However, for TRT patients there is no reason to be concerned about the safety of using the dosage amounts of substances like injectable testosterone enanthate that have been prescribed by their doctors. As long as your treatment for Low T is being supervised by a doctor who has expertise in testosterone replacement therapy programs, any worries you might regarding how long can you stay on testosterone enanthate or how much to take should be put to rest. But where are the US adults who need treatment finding these kinds of doctors? Is it possible for many of them to receive top-level treatment from respected hormone therapy specialists without having to travel outside of their local areas? At Nexel Medical, we have made sure that it is more than possible by making our treatment process available to all of them, including you, on a very convenient local basis. We all want access to the very best doctors whenever there’s a health issue to be dealt with, and the medical community has long recognized that hormonal deficiencies can become significant health issues for many adults. But we are sometimes unable to gain that access for a variety of reasons; either our medical insurers are calling the shots or the most highly qualified specialists are located far from our local areas or we become overwhelmed by the prospect of being shuttled from doctor to doctor before finally receiving an accurate diagnosis and the appropriate treatment that’s required. So the doctors at Nexel Medical, who are fully licensed and professionally respected medical providers who specialize exclusively in the treatment of Low T and other adult-onset hormone disorders, decided a change was in order. That change was to make top-level medical treatment for testosterone deficiency locally available to all US adults. With our medical practice centrally located online, we are able to treat patients wherever they live by having their Low T testing and medical exams performed in their areas and the results relayed to us. Everything else happens with the assistance of digital technology. 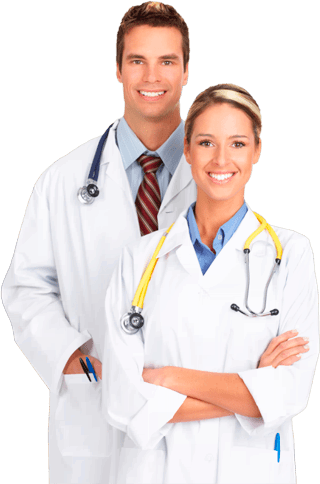 We immediately answer their questions such as how long can you stay on testosterone enanthate either by phone or email; our doctors are able to prescribe the appropriate treatment for them by reviewing and evaluating the clinical results of their locally performed procedures (we which are able to schedule for them); their prescriptions are issued to them digitally; and they are also able to purchase their prescribed treatments online for prompt and secure delivery to them by using our fully-licensed online pharmacy source. Nexel Medical’s TRT patients receive treatment that is second to none. Our forward-thinking medical professionals have combined the experience, the resources and the support staff to provide our patients with everything they will ever need to safely and successfully eliminate their Low T symptoms and go on to live lifetimes of greater vitality and sounder health. We have streamlined and modernized the treatment process for greater convenience, but the essential TRT protocols for effective, low-risk treatment are all consistently utilized by our doctors and clinical advisors. So if you have been concerned about the long-term safety of using TRT, now you can go online to get the expert medical treatment that ensures it.